Where to start on this one? 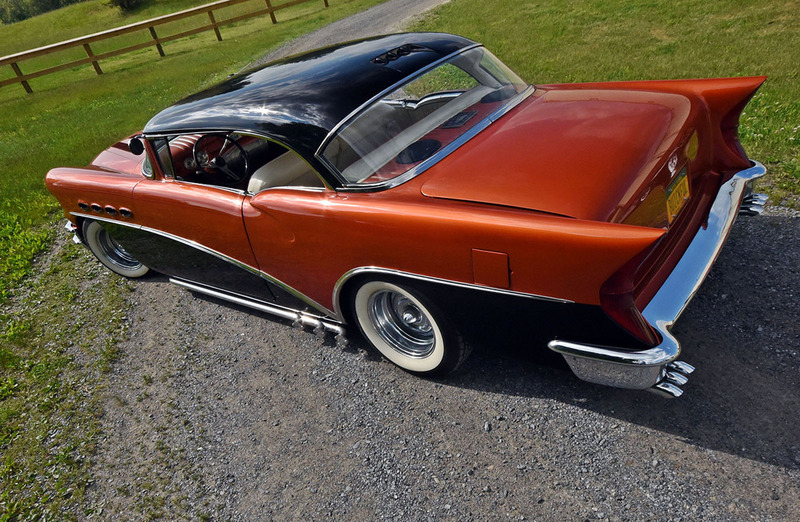 I’ve never seen this pretty ’56 Buick in person, but it holds an emotional attachment for me as it was originally built by my old friend, the late Elden Titus. It’s now in the loving care of one of the world’s most talented guitarists, and new friend, Arlen Roth. Elden passed away in 2008, at the age of 60, as he was working on his “Vibrasonic Roadster.” We featured the Vibrasonic in CKD issue #54, after it was finished by Gary Meyers and other friends of Elden. This Buick was reportedly the first car Elden chopped, and according to a letter that Elden sent to a subsequent owner, he did it on Thanksgiving Day, 1970. He was 26 at the time, and in typical Wichita style of the era, the top was chopped 3”, only in the front; none in the back. 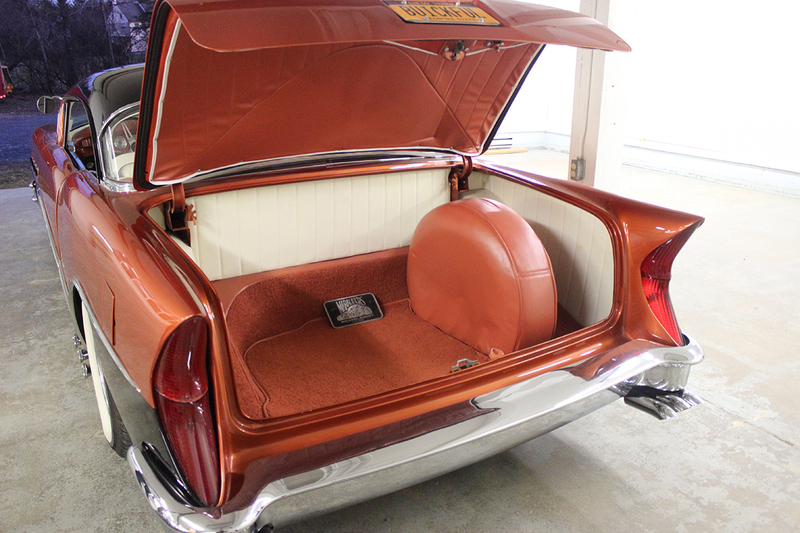 Elden used the car as a daily driver for a few years and eventually painted it light metallic green and his brother Jerry (president and founder of Kustom Kemps of America) added some scallops. 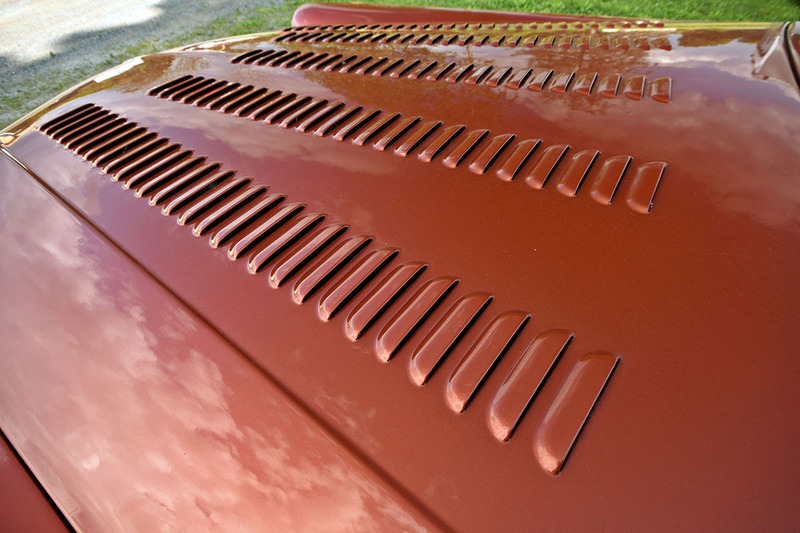 Elden’s touches on the car include the chop, the louvered hood, and the nosing and decking. After Arlen Roth acquired it in 2002, he took it to Bob Van Deusen to restore and enhance. Arlen’s an old car guy to the core but mostly he digs restored cars, and especially Buicks. He was respectful of what Elden had done but also wanted to put his own touch on the ’56. He obviously left the chop alone and retained the louvered hood. The second round of changes included frenched ’55 Chevy style headlights and ’54 Buick bumper bullets and ends. The tailfins were extended and two pairs of ’56 Packard taillights were “matchbooked” in (bottom of each pair upside down). 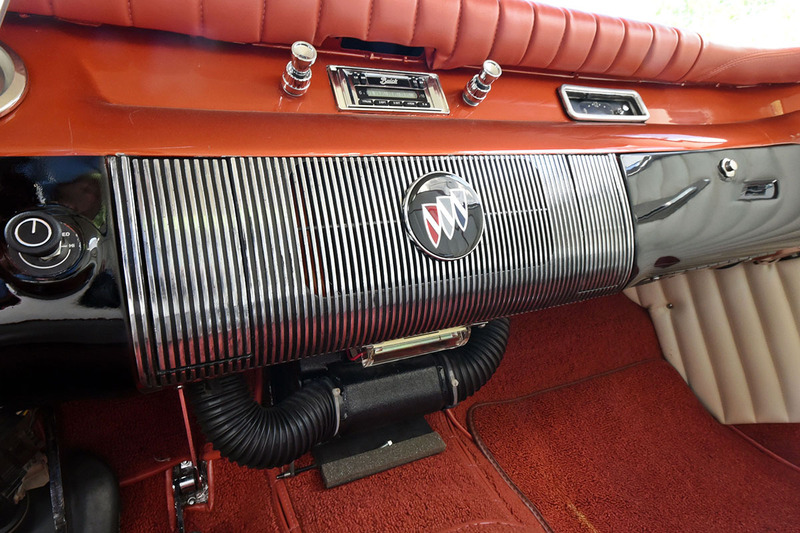 Arlen always liked the rear profile of a Tucker, so the Buick’s dual exhausts now end in six tailpipes. There are also dummy lakes pipes. Chrome reverse wheels with Shannon cones are wrapped in BFG/Coker wide whites. We know that the car has been several different colors over the years, but doubt that any has looked any better than the current Mazda copper and black two-tone that Bob Van Deusen applied. 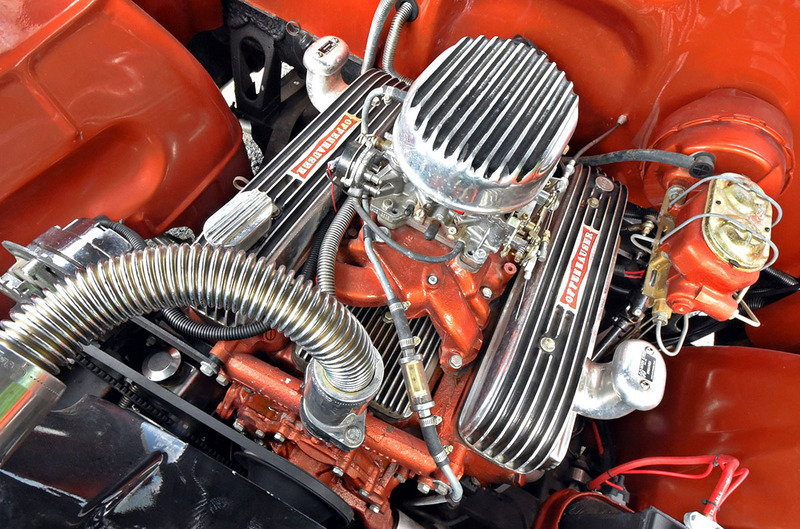 Under the hood, the Buick retains its original 322 Nailhead, backed by a Turbo 400 trans. Electronic ignition and an Edelbrock carb on the stock intake help with dependability. The stock rear-end was strong back then and still is. Front brakes were upgraded to discs and a dual master cylinder added for peace of mind. Inside we find a pretty white vinyl tuck-n-roll job with copper piping. 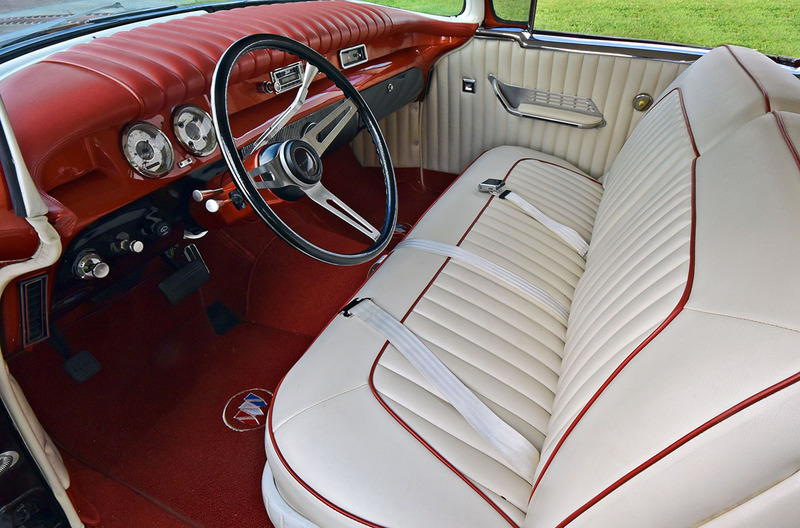 The dashboard has a copper upholstered top and is filled with gauges, and a modern radio with vintage looks. A late 1960s style steering wheel tops an ididit tilt column. We think you’ll agree that Arlen’s touches and Elden’s have melded together well. Garage-Built Stuff: All by the great Elden Titus in the 60s and early 70s! Anything Else: This was Elden’s first chop, done on Thanksgiving back around 1964 or so, I further customized what he had already started way back when. The car had been blue, black, red, yellow, and I have pics and letters from him, with his original drawings on the envelope, too! A seven-year build, and worth every minute of it! A great job by Bob Van Deusen of Plymouth, NY!